Subtitle: Since the Illuminati loves war and believes war is the only way to achieve their planned Antichrist, the world is once again forced toward the abyss of a planned World War. You will be shocked to see the Illuminati plans to force great changes in the Middle East Map! 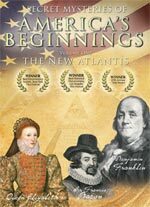 When Adam Weishaupt founded his Black Magick Masonic group, "The Masters of the Illuminati" on May 1, 1776, he basically seized the benign plan for a New World Order from Sir Francis Bacon as it was handed down to America's Founding Fathers ("The New Atlantis" DVD) and brutally changed the methods. Instead of relying upon centuries of the gradual changes in collective human mindset which Bacon believed would move the world into a global government, economy, and religion, Weishaupt shouted loudly to all who would listen that this peaceful method would never work, not in a million years. 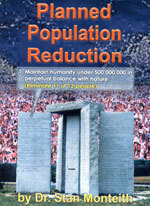 Weishaupt dramatically changed the method of achieving this New World Order to a most violent, bloody, course of action. Wars, rumors of wars, assassinations, and Regime Changes were to be constantly forced upon the peoples of the world so these ultimate goals could be realized. Key American Founding Fathers fought Weishaupt tooth and nail in America, and largely kept American Masonic Lodges free of this cancer until the Fathers had passed from the scene. But, certainly, by the end of the Civil War, this Weishaupt firebrand plan was in control of American Masonry, as the election of Albert Pike to the top post of North American Freemasonry clearly demonstrated. One of the expert witnesses in the video, "Riddles In Stone" -- 33rd Degree Masonic Historian, Trevor McKuen -- stated, "When you look at history, you have to say the Illuminati won". Indeed, they have won so far, and it looks as though the restraining power of the Holy Spirit (2 Thess 2) has been removed enough to allow this demonic plan to succeed all the way to producing Antichrist. 1) This chart shows the organizations cooperating with each other to achieve this global New World Order. You may not see them cooperating on the surface, but rest assured, they are cooperating deeply behind the scenes. 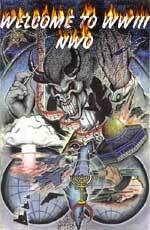 Doc Marquis, in his book, "Secrets of the Illuminati", has drawn this Great Seal of the New World Order, depicting the various influences and organizations actively involved in the drive to the New World Order. Marquis was a former Satanist who was trained in the Illuminati plan. 2) The Illuminati has been using the most powerful Black Magick Witchcraft possible in order to achieve their goals. 3) This chart clearly demonstrates the Satanic belief that they cannot achieve their goals unless and until an awful lot of human blood has been sacrificially spilled. 4) Out of the "I T C" of "Witch" flows lines which are blood red, depicting the human blood which has already flowed and the human blood which is planned to flow, in order that this global Satanic system might be established. Notice that this blood flows on top of and around The Illuminati. All three blood flows pour upon the Satanic altar and off the American Seal on the back of the One Dollar Bill into the world. Human lives lost during wars certainly count as human sacrifice, but so do innocent deaths on a school campus carried out by a mind controlled shooter. Hundreds of millions of lives were lost to Illuminati sponsored wars in the 20th Century, but you "ain't seen nothing yet", because Marquis clearly told me that more people are planned to die in this coming 91-day World War III than in both World Wars One and Two combined! Entire nations are going to be annihilated. A full explanation of "I, Witch" can be obtained by clicking on this hot-linked title. The Pentagon's New Map - Strategy For "Shrinking The Gap"
NEWS1833 -- "U.S. - E.U. INVADING AFRICA -- AND ALL OTHER 'NON-FUNCTIONING GAP' COUNTRIES "
NEWS1900 -- "AFTER INVADING HAITI - AGAIN - IS AN INVASION OF VENEZUELA POSSIBLE?" Please take a moment to read these articles, especially NEWS1833, because this map which we are about to share with you is a direct result of this Neo-Con, Illuminati strategic thinking. You will come to realize that the creation of this map by American military planners means that, in President Bush's thinking, the United States of America has just "taken real ownership of strategic security" in the entire Middle Eastern region represented by this map! Can you imagine this incredible arrogance? President Bush is actually telling the leaders of Turkey, Iran, Syria, Saudi Arabia, Lebanon, Israel, Jordan, Yemen, Oman, the UAE, Pakistan, and Afghanistan, that they do not control their own countries anymore, because Washington, D.C. now has taken "real ownership of strategic security" of those nations! What arrogance! Is it any wonder that Russian President Putin has been talking so much in the past few years about American "arrogance" in foreign affairs? Is it any wonder that Russia has agreed to protect some of these nations against American aggression? This map makes an incredibly powerful statement about the role in the world which the United States envisions itself performing. Truly, this map is saying that America views herself as the only superpower in the world today, and is arrogantly using this power to force sovereign nations in the Middle East to give up significant territory, something which sovereign nations usually go to war to prevent. Indeed, the Illuminati intends for this map to create a World War III, for it is through this war that "Non-Functioning" nations will be destroyed so that, when the Masonic Christ does appear, he shall take control of a world whose nations can rapidly integrate into his planned cashless system. Now, let us examine this most important map. For the record, this "New Pentagon Map of the Middle East" was printed in the American Armed Forces Journal in their June, 2006, issue. When furor erupted in the capitals of nations throughout the region -- including from American Islamic allies -- over what this map depicted, the White House quickly and officially distanced itself from it. 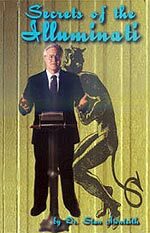 However, the damage was done, because foreign leaders knew all about new strategy of forcing all nations of the world into the cashless society, a strategy covered in the book, "The Pentagon's New Map", published in 2004, authored by Thomas M. Barnett, strategic researcher and professor at the U.S. Naval College, and Illuminati extraordinare! This is THE map which is causing such weird behavior on the part of our former allies and our bitter enemies in the Middle East. This map is also undoubtedly going to provide the spark which shall explode the entire world into World War III. Let us now examine this map closely. Now, let us examine this unbelievable map! Let us begin first with the way in which this Illuminati plan splits up this poor, tormented country. 2) Capture his Weapons of Mass Destruction (WMD) so he could not use it on his neighbors or share them with that nasty Osama bin Laden. Of course, we all now know that was all a lie, don't we? 3) Give the Iraqis the best gift America had to give, i.e., democracy. This map gives the lie to all three of these original goals. But, of course, Cutting Edge has been proving that the President was lying all along, haven't we? Read NEWS1890 and NEWS1890b for "Smoking Gun" details proving that Bush and Rumsfeld knowingly and with great advance planning, set out to deceive the world into thinking Saddam really had a threatening WMD program! Before leaving this section, we must draw your attention to the reality that the new country of Arab Shia State in south-eastern Iraq goes down along the Persian Gulf to Qatar, taking land away from American ally, Saudi Arabia. We will cover this shocking reality later, but we wanted to bring your attention because this new Shia nation is greatly expanded over what now constitutes southern Iraq. Obviously, for the Kurds to receive this new country -- Free Kurdistan -- both Turkey and Iran are going to have to relinquish significant territory! Turkey will be forced to give up some land on her Eastern border with Iraq, while Iran will have to forfeit some of her land on her Western border with Iraq. In this past year, since this map was made public, Turkey's pro-American, pro-Western military has undergone a great transformation. These generals have been pro-American since World War II. And, yet, in the past year, Turkish and Iranian leaders have been communicating regularly and have even gotten together on occasion. Events in northern Iraq have demonstrated that these leaders have evidently been drawing up a joint plan by which they are going to prevent the Kurds from gaining their own country. Can you now understand why Turkey has entered northern Iraq with 50,000 troops, and has another 200,000 amassed on the border? Turkey's armed forces are now more anti-American than in recent memory; now, you can understand why. "Wednesday, June 6, thousands of Turkish troops backed by warplanes, helicopters and tanks, crossed into Kurdish northern Iraq. Thursday, the Turkish General Command's Web site announced (in Turkish) that three eastern regions bordering on Iraq. Siirt, Sirnak and Hakkari, were closed to civilian road and air traffic for the next three months up until Sept. 9.......... Once American interference was staved off, the Turks settled down to a three-month campaign lasting till Sept. 9, as attested to the dates on the military decree of martial law. They have three months to crush the PKK and root its fighters out of their sanctuaries in northern Iraqi Kurdistan." September 9 may thus be an important date in this entire episode, and maybe in the context of the entire Middle East war scenario. Article after article in the past few weeks indicates that Syria and the Palestinians are planning to go to all-out war sometime in the "summer". Perhaps this mention of September 9 (9/9) is a red flag we should not ignore. This American ally will be greatly expanded according to this map. But, her expansion will come entirely at the expense of Saudi Arabia. Jordan will be given access to the Red Sea, something she has never enjoyed. This supposed American ally suffers grievous loss of territory according to President Bush's new map. She gives up land on all parts of her current border. * She gives up land to the south so Yemen can be expanded. From time to time, we have posted articles to Daily News Updates where American forces are fighting rebels in that country. Perhaps we shall have to be more vigilant in paying attention to Yemen. The incredible fact is that, if this map is implemented, Saudi Arabia will be stripped of almost all her access to the ocean -- both on the Red Sea and the Persian Gulf! This reality must mean that some other nation is going to control Saudi Arabia's oil export terminals! How can the Saudis tolerate this violation of her sovereignty. * Most shockingly, Saudi Arabia is going to be stripped of all management and control over the Islamic Sacred Sites! I cannot imagine any Saudi leader voluntarily giving up control of the Islamic sacred sites! Perhaps this map is the reason Saudi leaders recently received Iranian President Mahmoud Ahmadinejad for the first time in modern history! Perhaps this map is the reason Saudi leaders are fighting the most serious outbreak of rebellion in any country other than in Iraq. Perhaps this map is the reason moderate Arab countries throughout the entire Middle East are shaking and shuddering in their boots as they face the most powerful rebellion within their countries they have ever faced! Do not be surprised if this war sweeps aside all pro-American, moderate Arab regimes throughout the region. The implications of this map have given radical Islamic militants tremendous power within all moderate pro-West Arab countries, a power threatening America's allies in the entire Middle East. This new country is carved almost completely out of Iran. I am going to have to research to see which small minority group President Bush is trying to reward. But, at least, you can understand why Iran is so completely anti-American in her rhetoric and her actions. The Jewish state is going to be forced to retreat back to their pre-1967 borders so the Palestinians can be given their own state. We have written so much about this fact that we do not feel it necessary to say anything more at this point. Suffice it to say that God's prophecy will intervene to force a different scenario. Please take the time to read our archived Headline News Article on this subject, NEWS2095. 2) Pakistan's President Musharraf is pro-American and is under so much internal pressure to resign that I would not be surprised at all to see breaking news that he has been removed. Pakistan is in turmoil right now, because militant forces are gaining strength, threatening Musharraf with his very life. Carving up these major countries so as to create new, smaller ones, and deprive the current major countries of much political power is a concept very much in keeping with the concept offered in "The Pentagon's New Map" (NEWS1833). You see, strong dictators can impede the global integration progress so severely they need to be removed. Powerful traditional countries can impede progress toward a truly global system so harshly they need to be carved up. These are the lessons provided by "The Pentagon's New Map". And, they are implemented strongly in Bush's New Middle East Map. However, you can expect Iran, Turkey, and Syria to go to war to prevent this kind of map from being realized. What do we see occurring right now? We see that Turkey is invading northern Iraq -- Free Kurdistan -- while Iran and Syria are threatening Israel with all-out war. We see the Palestinians fighting, doing the bidding of Syria and Iran, while Russia is arming them and leading them all. When this region goes up in the flames of all-out conflagration, will the driving force behind it all be this map, and the arrogant Illuminati/American attitude behind it? I believe so. Truly, the world is spinning out of control, just as the Illuminati wants it to, so they can destroy nations, annihilate peoples and religions, thus preparing the way for the appearance of their Masonic Christ (Antichrist).